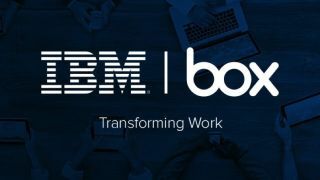 IBM and Box have signed a wide-ranging partnership agreement that brings the cloud technologies of both firms together onto a unified platform. The partnership, which will cover a range of different of different facets, will primarily take the form of a platform geared towards enterprises working with the cloud around the world. Box customers will be able to store their data on IBM's cloud that, according to Tech Crunch, will be available at 46 data centers globally by the end of 2015. As well as that, Box will be integrated into IBM's content management technology, it will be able to use IBM security technology, IBM data tools will be able to be applied to information stored by Box, and a collection of mobile apps will be launched. Even though this deal is a big one, it's by no means Box's first partnership as it has been recently been buddying up with Microsoft and has a swathe of integrations that pairs its storage with Microsoft Office. Cloud storage is still an incredibly competitive sector with Amazon, Google and Microsoft all going head to head with cheaper and cheaper offerings over the past 12 months, the likes of Box and Dropbox left to feel some considerable heat. Box's loyal band of business users already are already offered an unlimited service and that followed similar moves by Google and Amazon in 2014.